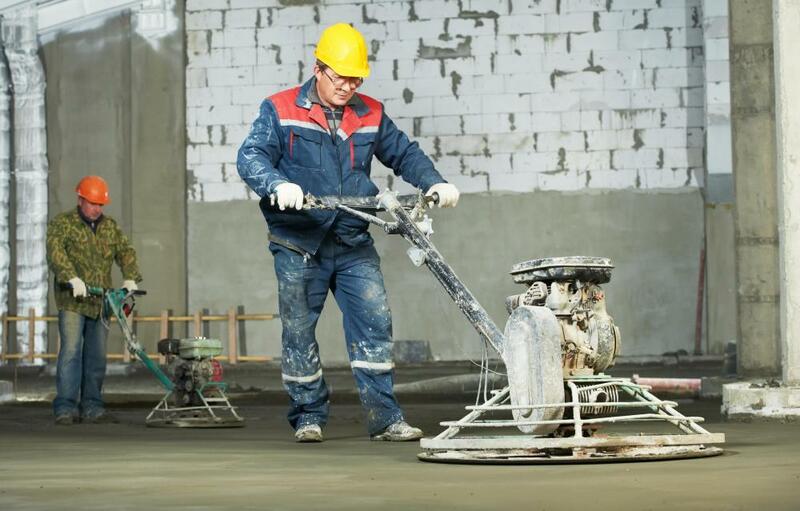 Larger poured slabs, such as garage floors or house foundations, may require the use of a power concrete trowel. 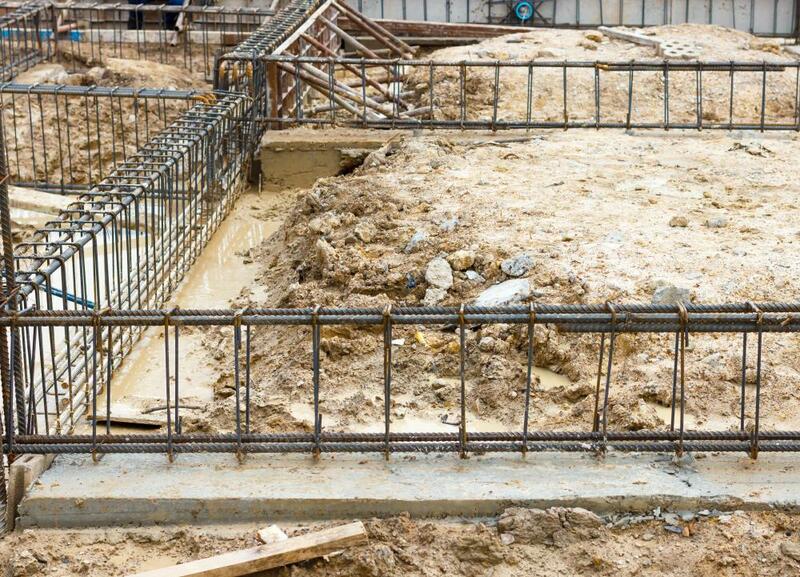 Metal reinforcing beams, or rebar, are placed in insulated formwork to provide stability. A formwork is a premade mold used to form concrete walls on-site. Unlike most formworks, an insulated formwork is left in place after the concrete hardens and becomes a permanent part of the structure. This form style enhances the properties of the concrete wall, eliminating some of the shortcomings common to this sort of structure. In addition to the concrete and forms, an insulated formwork will typically have rebar reinforcement to provide more stability to the material. Unlike most formwork processes, this construction method does not provide a cheap and fast way of assembling simple buildings. The use of concrete formworks is an extremely old practice. Very little has changed in the process. A traditional formwork is assembled on-site using pre-cut wood or plastic forms. Wooden forms are typically used a few times before they become damaged beyond repair, while the plastic ones are generally useful for a greater number of uses. Rebar is placed into the molds, one of the few differences between ancient and modern practices, and then concrete is slowly poured into the form. By using premade forms and poured concrete, it is possible to construct a simple building in just a few days. The biggest time hurdle is pouring the concrete slowly enough that it hardens correctly. If the material is poured too fast, it will cause the form to buckle and destroy the wall. When the wall is fully hardened, the form is removed and that piece is finished. The process of using an insulated formwork is nearly identical until the very end. Rather than removing the form, it is left standing to form a permanent shell around the concrete core. The only other major difference on the construction end is that these forms are always made of a synthetic material, such as very heavily processed wood fiber or metal. If common building wood were used, even small amounts of rot could cause the wall to crack and buckle. The forms are made of a material that is both strong enough to keep its shape, but soft enough to act like wood when used. This layer is designed to be an inner material, just like normal insulation. The exposed surface of the insulated formwork is made to provide easy attachment spots for drywall or other surfacing material. There are a large number of advantages for using insulated formwork construction. The wall, when insulated and finished, is nearly soundproof and extremely durable. In addition, the insulating capacity of these structures is way above most other building methods and, when combined with a concrete floor, the structure can be practically sealed off from the outside environment. On the downside, these methods are somewhat expensive and modifying the walls after construction is quite difficult. What Is the Difference between Shuttering and Formwork?